This weekend I set up a facebook page for this blog. It was a pretty nerve-wracking experience. I have a habit of assuming that people don't like me or find me boring. Unless I explicitly know otherwise, I tend towards pessimism on this front. It's something I want to change. As a result, sending out something like this blog to a big group of people from school, university and elsewhere made me pretty nervous. Surely they wouldn't like it. Surely they would get annoyed at the disturbance and mock me. Yet people have come up to me in person and mentioned how much they like my blog or that they've heard a lot about my cooking. So I decided to man up and click invite. The response has really touched me - more than a hundred people in three days, almost all non-foodie friends. There it is, in black and white: people 'like' me and my work. I thought I had escaped the chaos that other bloggers have described when I managed to get the mixture into the pan without covering myself. Two minutes later I realised I had a huge smear over my cheek, dabs of vanilla paste on my arm and a frosty chunk of hair. I looked up and saw my mum had managed to get a big blob on the end of her nose while wildly diving into the bowl to scrape any spare bits out with a spatula (and this is the woman who doesn't like marshmallows). Then I covered the entire living room in icing sugar and cornflour. I literally cooked up a storm, creating a dust cloud that rose up and surrounded the table, myself and one dog. Homemade marshmallows are pretty special. 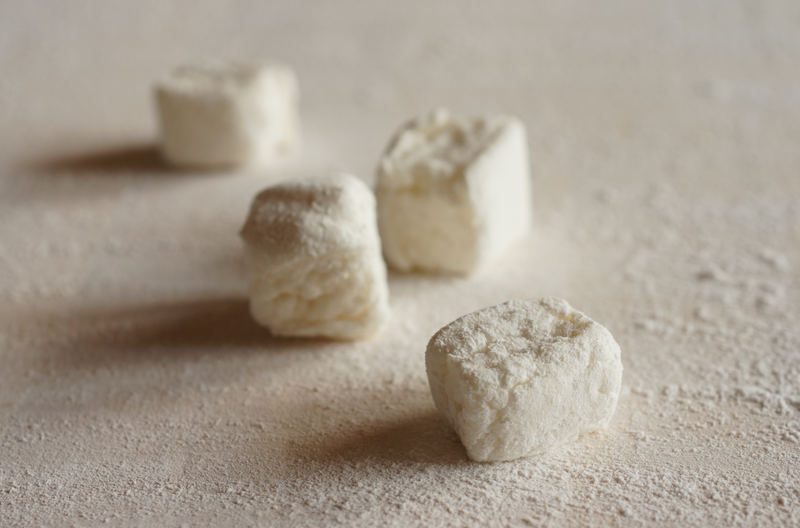 Take the best bought marshmallow you've had and multiply the joy by a hundred. They're fluffy and light. Candy clouds. I had a wonderful time taking these photos. Trying different things, playing with shadows, settings. Afterwards I wanted to jump in the air and dance. Creating something I'm proud of makes me feel vividly alive. I've only just started to get that feeling with photography. I think today was the first time I felt I had tamed my camera and taken control. Created what I saw in my mind. I used David Lebovitz's recipe here to make the marshmallows. I used sheet gelatine and instead of corn syrup I used liquid glucose, which I found at my local pharmacy. I used corn flour, which is corn starch. Fantastic photos! Inspired post, keep on cooking! We enjoy your efforts! The Procrastobaker - Oh I'm so pleased! I saw on David's post about corn syrup that you could substitute it so I thought I'd give it a go. Hope you enjoy making them, it's so much fun. These are gorgeous photos! Black and white was the perfect choice. I made marshmallows for the first time last year and I fell in love with them. Truly amazing! I haven't bought a marshmallow since. Stunning Photos! I'm going to make one big mess making them, but I'm sure it will be worth it. If I end up in a mess such as you described, I'm not so sure I would still be in the mood for a photo shoot that churns out prettiness such as yours. Although if nothing went wrong in the actual making of the marshmallows except for the mess, I'd be a very happy girl. You describe a thought process that dogs me regularly and should be banished! Popping over right now to like your page and to say you totally deserve your success. Great photos and a great looking and sounding recipe. Did you use corn starch or potato starch? Is corn starch the same as corn flour? Thank you. Pamela - I'm sure it'll be worth it! Glad you like the post. pickyin - hehe well the messiness was pretty, which made me want to photograph it. They're not as hard as you'd think - I was pleasantly surprised. mycustardpie.com - it's such a frustrating thought process - definitely should be banished! Thank you Sally. Great job. I cannot wait to try these with my kids. I've never seen marshmallows look so good! 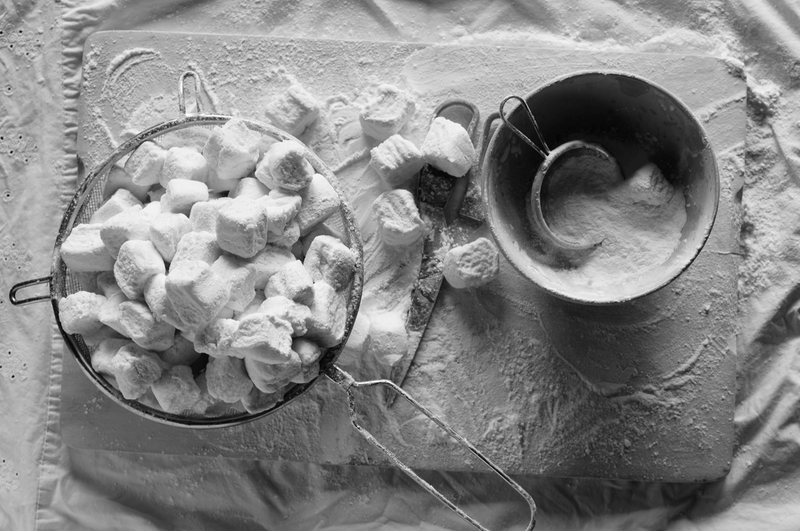 The photos are so atmospheric and the marshmallows look just delicious. Mike - I bet your kids will love them. I shared some with two girls we tutor and they adored them. Though keep them well away from the sugar syrup! Jolene- thank you! I'm really pleased with the way they turned out. Lucy - thank you, that's really sweet. I hoped the photos would convey the feeling and atmosphere of the moment. 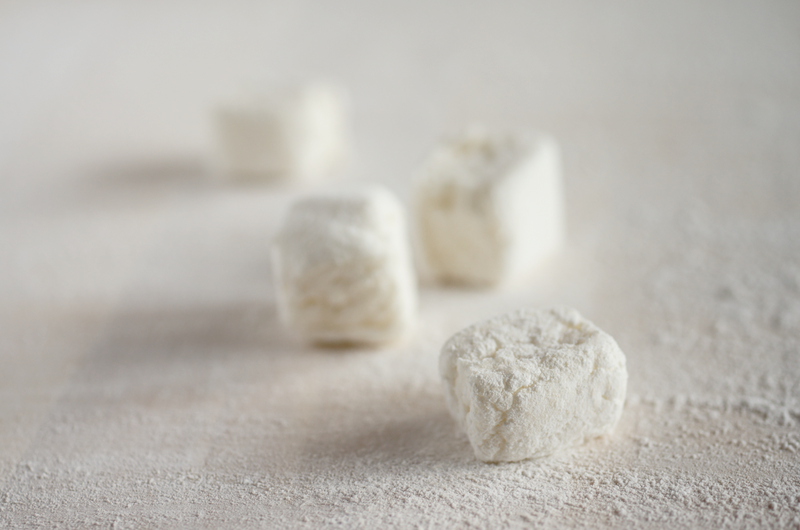 Marshmallows are like excitement bound in a cloud of vanilla dust. 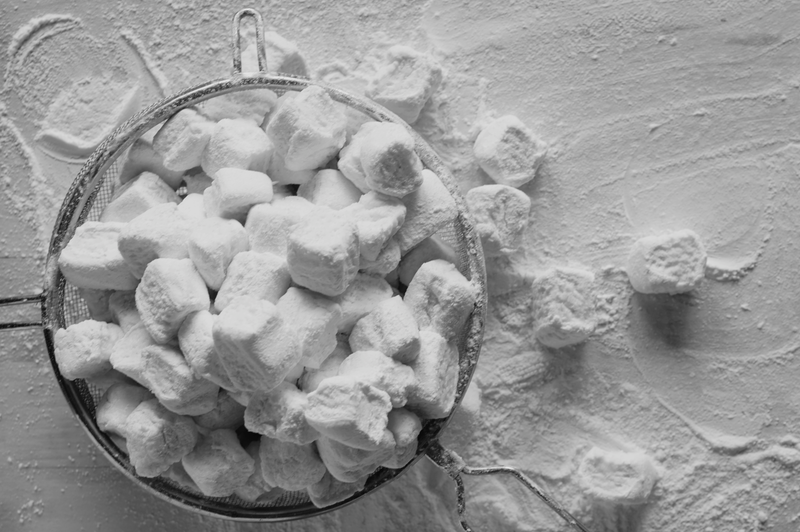 :) I love the photos, they make the marshmallows look even more whimsical than they already are. These photos have a very festive feel to them! And the mess you describe in your kitchen? Nothing new for me! My kitchen is always like that when I bake with M! you are not boring at all, which is why i'm now following you on facebook :) haha! these look yummy and your photography is beautiful! Sarah - I agree, it's so much fun to play. I'm only just starting to get the confidence working with manual to really play. vickys - I love that description - excitement bound in a cloud of vanilla dust! 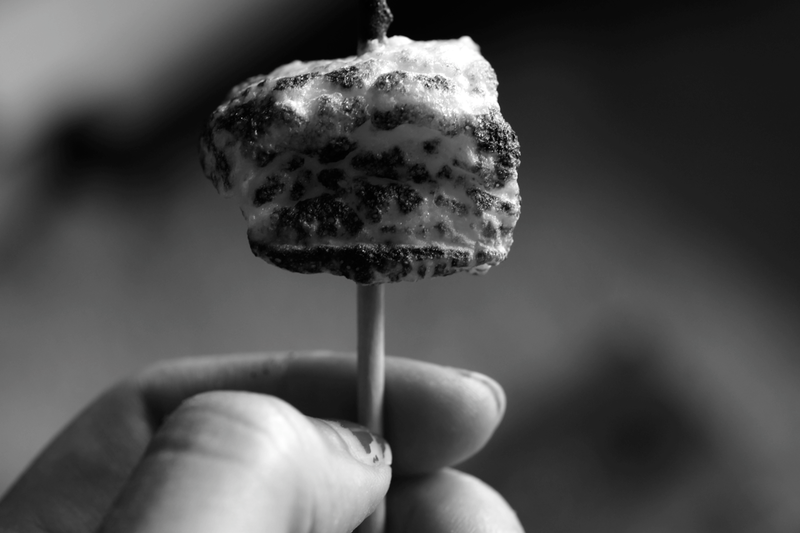 Whimsical is a great word for marshmallows. Katie Mar - aw, thank you! They were yummy, it's a great recipe. Oh honey I love your blog and pictures and liked the FB picture. I'm not a big fan of marshmallows (i know i know) but may be homemade will change my mind? Kulsum - Thank you! I'm wasn't the hugest fan either - too sweet/tastes of nothing for me - but these were awesome. oh i see you've finally made the marshmallows! so nice they turned out! and the black and white photography is very fitting. emma, a whole different question - do you know where you are going to train as a pastry chef? i am trying to get hold of an internship at william curley's, so hopefully i'll be in london next year for a few months! Ooh, just joined your fb page! Also, great minds: I just made this exact same recipe a week and a half ago (so around the same time you did; mine were done 8.19). Loved them. How long did yours keep? Despite using all the corn flour-sugar mix mine started to meld together soon after, and after a few days (I took them up to the cabin we rented in New Hampshire for our family get-together) they didn't look so hot (though there were only a few left, at least so not a great loss). 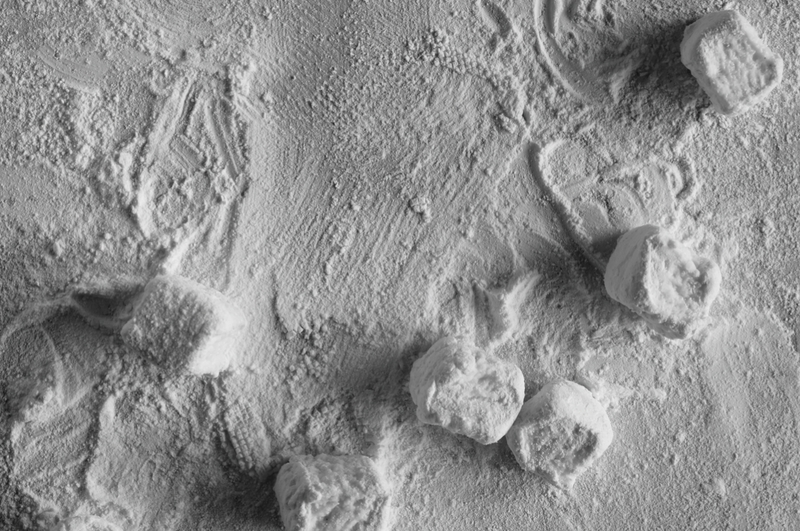 Gorgeous photos--how did you get such perfect little cubes? I didn't make too much of a mess, but maybe that's why mine weren't so cute. Perhaps it's the price you pay. (Though I misread the thermometer on the sugar syrup the first time through and had to re-start!) Anyway, what a fun thing to make, for sure! Jennifer - thanks. I'm doing the patisserie diploma at Cordon Bleu London for a year. Hopefully it will be good! William Curley sounds fabulous. 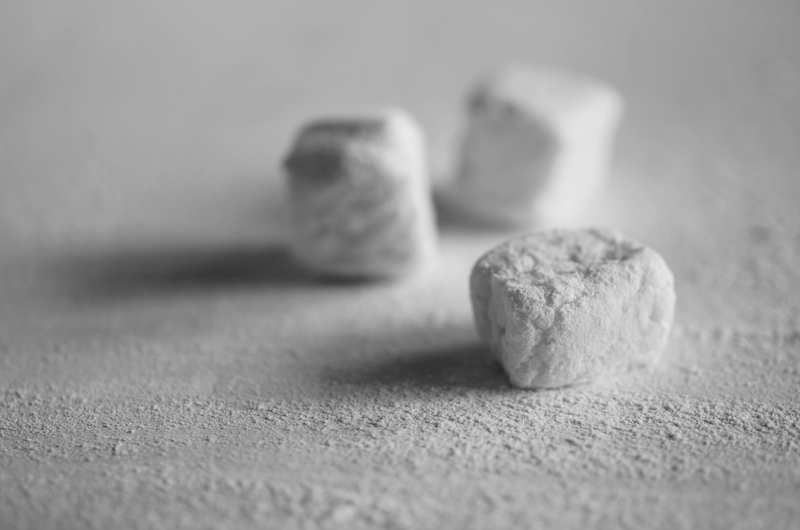 I never thought marshmallows could look so evocative! Two years on, you are still making new fans.